During winter, the furnace is one of the most important components in your home. 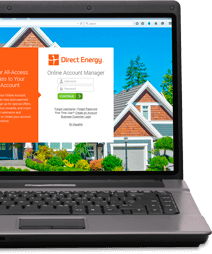 A properly maintained system will deliver maximum heat output to your home without wasted energy or the risk of harmful emissions. To ensure your home furnace operates optimally when it's cold outside, you should employ the following maintenance tips to prepare your furnace for winter. The coldest nights always seem to present the perfect opportunity for a spontaneous furnace failure. Prevent this with a proactive approach by conducting your furnace maintenance every year while the weather is still warm or mild. Getting the jump on your annual maintenance will give you plenty of lead time if you discover the need for repairs. Before you start work on your furnace, give it a quick visual inspection. In gas furnaces, the venting pipe should be securely fastened and angled. In addition, other tubes – such as drainage tubes that may also serve the air conditioning system – should be securely fastened as well. This is also a good time to smell around the system's gas line, which is usually a flexible tube. If an aroma of rotten eggs is detected, it means the furnace has a gas leak. Natural gas and propane furnaces produce small amounts of water as they heat. Some of this is blown out as exhaust steam, but the rest drains from the power exhaust manifold to a drip pan that is often shared with the air conditioner. If the drainage tube clogs, water could fill the manifold and the flame sensor would shut the system down. Keep the drainage tube clear by detaching it from the manifold and blowing compressed air through the tube and drain pipe. You can also pour a cup of white vinegar through the drainage tube and pipe to help prevent a filmy buildup. Dust, dirt, and debris can cause a furnace to work sub-optimally or, in some cases, not at all. To ward against this, use a soft-tipped paint brush applied gently against the inner components of the furnace. This practice will loosen dust and debris without damaging the furnace's interior. Once the brushing is complete, remove the material with a portable vacuum. A dirty flame sensor in a gas furnace will stop the unit from working all together, so clean this part at least once a year. Unscrew the sensor from the furnace and then, holding it at the bottom, clean the sensor with an emery cloth. Once the sensor is clean, it can be replaced, and the door reinstalled. While most North American homes are heated with natural gas, propane or electric furnaces, there are several other types of systems: steam radiator heat, air or geothermal heat pumps, radiant heat, baseboard heaters and more. Some of these systems, like radiant floor heating, are virtually maintenance-free. Others, like heat pumps, require annual tune-ups similar to air conditioners. If you have a heating system other than a gas or electric furnace and you're unsure about its maintenance requirements, contact the installer or your local HVAC professional for guidance. If you feel uncomfortable handling any of these tasks, bring in a professional furnace maintenance technician. 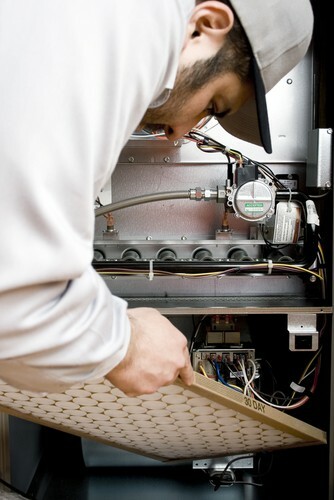 Proper maintenance tasks relating to your home's furnace may be difficult if you don't have a mechanical background. And even in cases where you feel you can accomplish most maintenance steps alone, it is still a good idea to hire a professional to thoroughly inspect the system and ensure it is running properly. Whether you decide to handle portions of the furnace's maintenance yourself or trust it all to the skills of a professional, there are still upkeep tasks to be accomplished once the initial inspection is complete. This is especially true of furnace filters. Changing the filter prolongs the life of your furnace and can save you 5-15 percent on your energy bill. The furnace's filter was likely replaced when it was last inspected, but it should be replaced every month (unless otherwise instructed by the manufacturer of the furnace). Set a date on the calendar exactly one month after the cleaning to easily remember when the filter should be changed. Some homeowners also find it easier to simply replace the filter on the first day of every month. In addition to the filter, you should keep the area around the furnace clean and free of obstructions, especially combustible materials. This allows the furnace to run properly and avoid potential damage to the unit, its performance or your home.